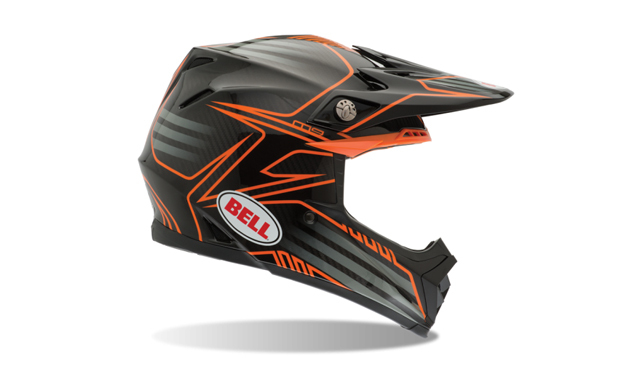 The $549.95 Moto-9 Carbon is Bell’s flagship MX lid and features ultra-light TriMatrix construction, Bell’s Velocity Flow ventilation system, and the Flying Bridge Visor with QuickFlip adjustment. The new colorways include Tagger Scrub, Unit Existance, Pinned Red, Pinned White and Pinned Orange. Coming in at $179.95, the Bell MX-2 is a premium blend of price and performance, mixing a lightweight fiberglass shell with Bell’s Force-flow ventilation system for cooling and comfort. 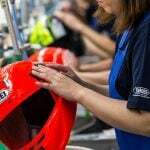 The new graphics are Quantum Blue, Quantum Red/Black/Yellow, Element Red, Element Black and Fifty Four Black Chrome. 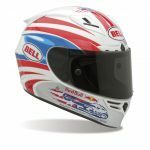 Lastly, the $99.95 is Bell’s low-cost, entry-level MX helmet with an EPS-lined chinbar, Force Flow ventilation and a removable/washable inner liner. 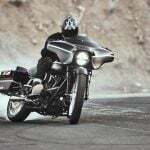 Its new graphics are the Sonic Black Yellow and Reactor Black. 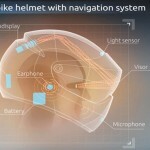 See these, and the rest of Bell’s helmet line at www.bellhelmets.com.